This VIS image was taken just south of the rim of Valles Marineris. 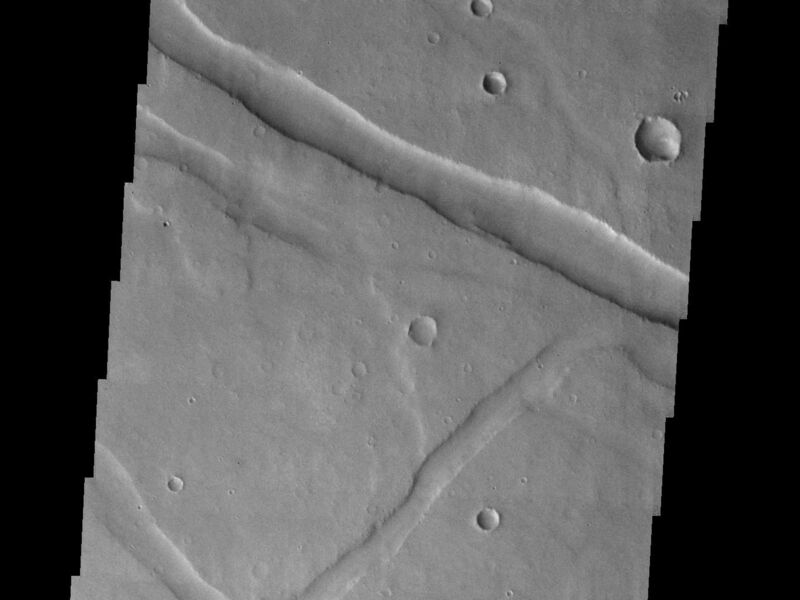 The troughs seen in this image are structural features called graben. 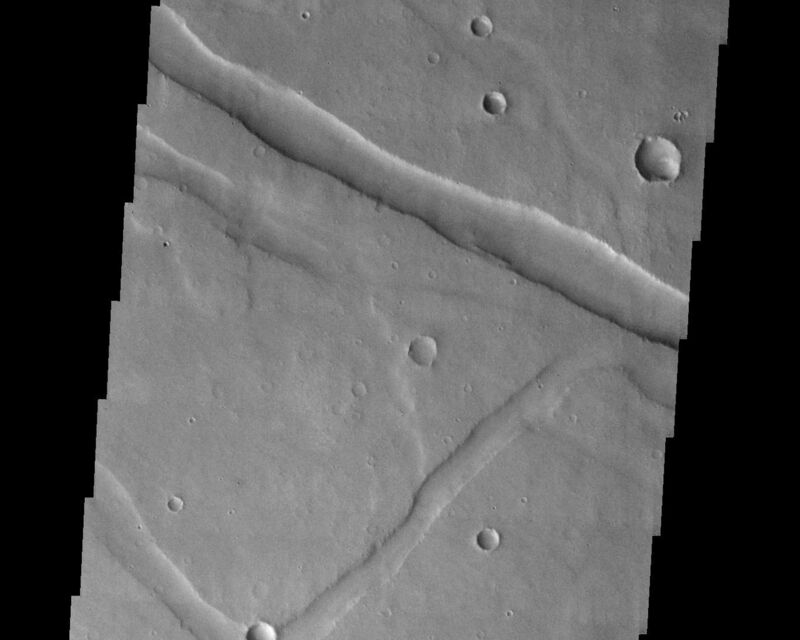 A graben is formed when two parallel fractures bound a down-dropped block of surface. 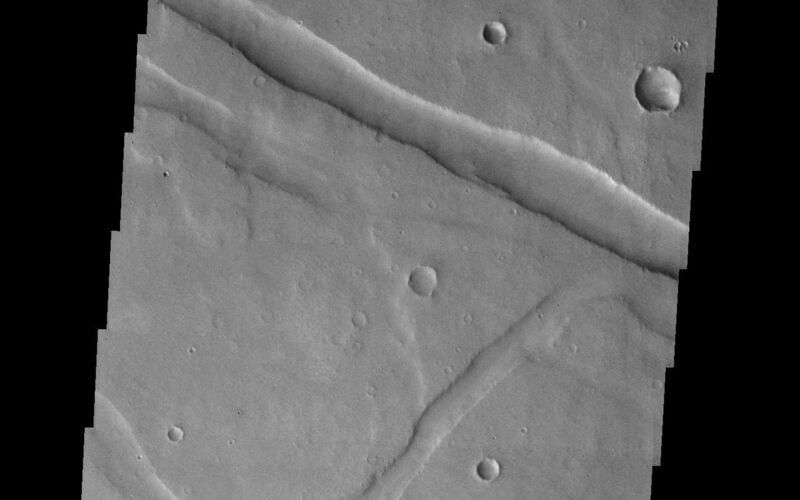 These graben developed as part of the formation of Valles Marineris. Image information: VIS instrument. Latitude -14.1, Longitude 287.2 East (72.8 West). 19 meter/pixel resolution.